The purpose of this documentation is to support my other blog post Stop exposing your password in your database connection strings, a topic on which I presented at the New England Oracle User Group conference on Nov 8th 2018. 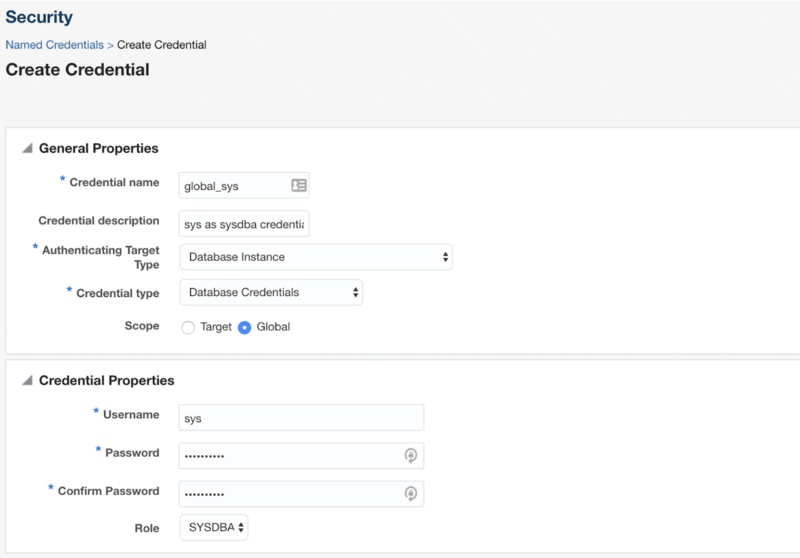 In my talk, I suggested that an excellent solution to removing the problem of exposing passwords in your sqlplus connection strings is with the use of Oracle Enterprise Manager Cloud Control (OEM). 1. The OEM base is completely free. Though, there do exist optional packs you can add for a license cost. 2. 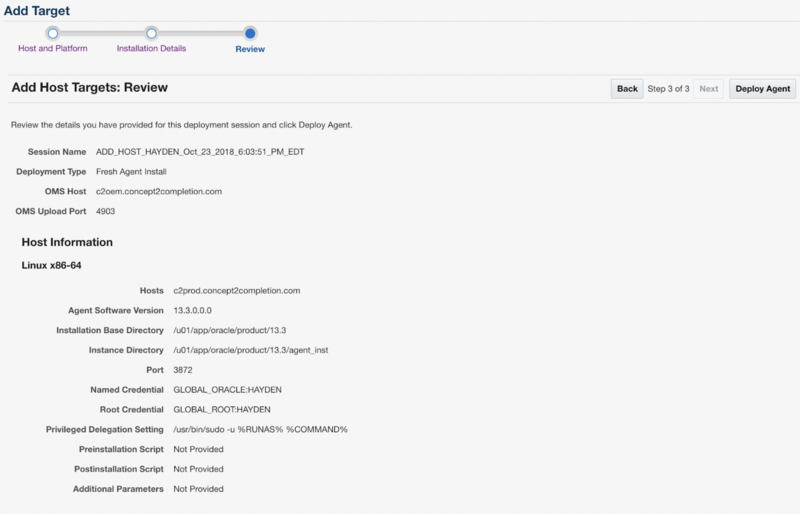 It’s a one-stop solution to inspecting and managing your servers. For example, it can automate your database backups. 1. You only have a couple of databases. 2. The installation may be fairly simple but it is time-consuming. One step, as we’ll see, takes 3-4 hours. 1. 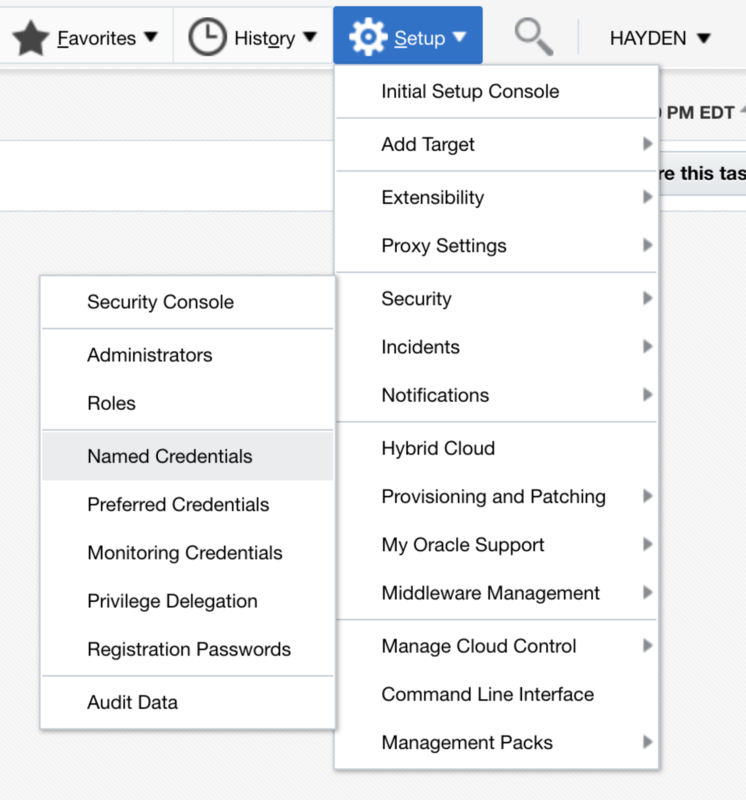 This tutorial assumes that you already have at least one Oracle Database set-up. 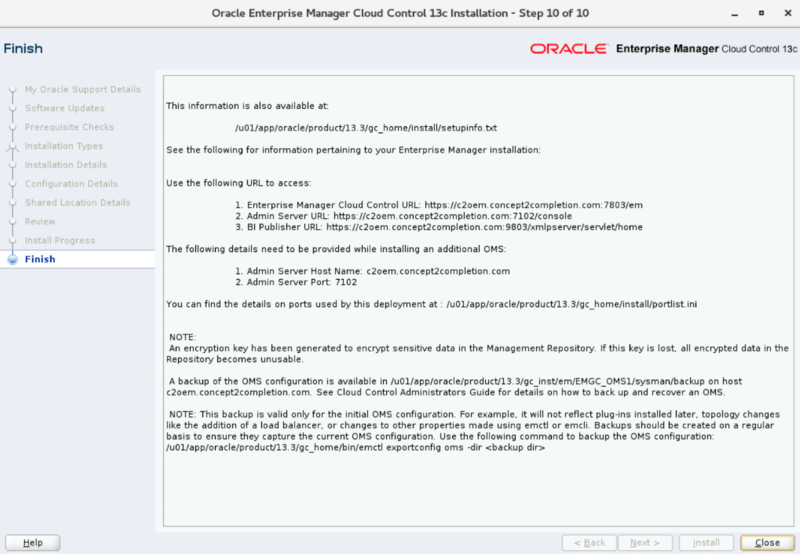 The OEM can live in any database but I recommend installing it in a database that is separate from the one(s) you are manager, ideally the OEM database will exist on a separate compute instance. I will not be covering how to install a database / configure the necessary compute node. 2. This tutorial uses a Linux environment (Oracle Linux 7) but other Linuxes and even Windows should be pretty similar. 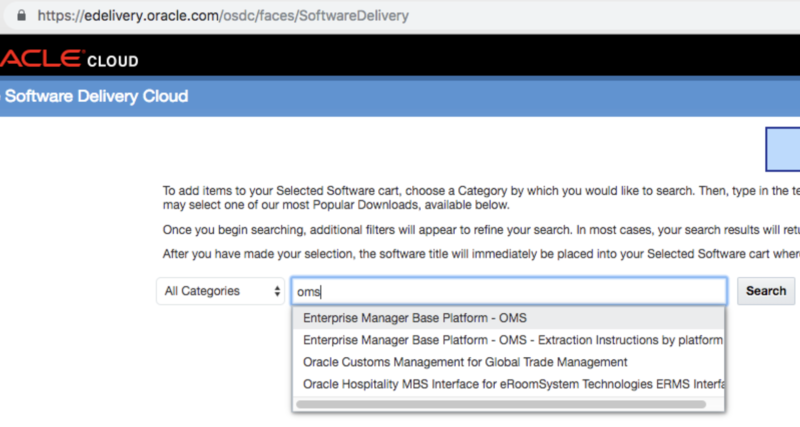 The necessary downloads for OEM are available both on the Oracle Software Delivery Cloud portal and on the Oracle Technology Network . I used the edelivery site. 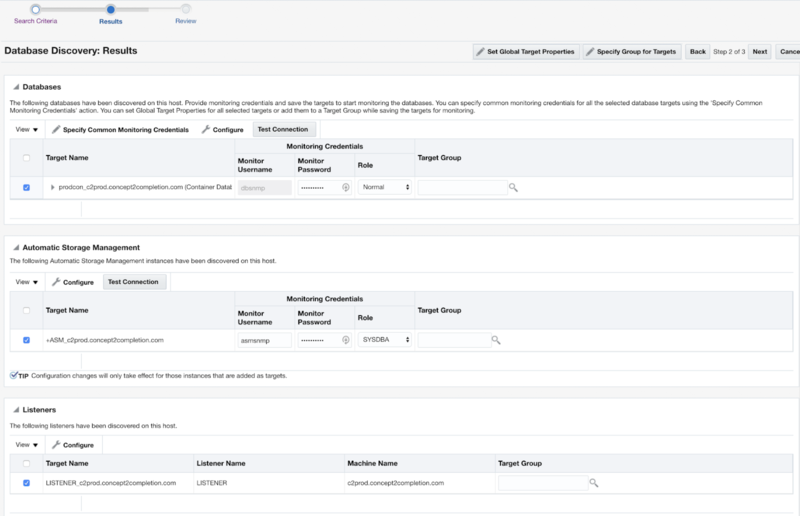 Simply sign-in (or register) and search for ‘OMS’ to find the ‘Enterprise Manager Base Platform - OMS’. As of the time of this writing, you’ll need to download 6 zip files. The download may take 10+ mins. 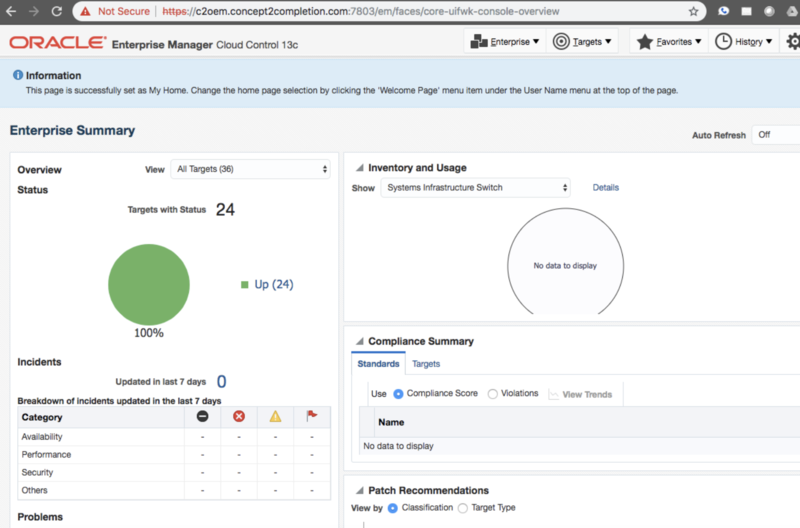 I'll be following the guidelines specified by the official Enterprise Manager Cloud Control Basic Installation Guide Guide for Release 13.3 . Move your zip files to the desired location on your designated database server. I used the path ‘/usr/local/src/oracle/oem/’. Now you’ll need to unzip them. 6 archives were successfully processed. Make sure _allow_insert_with_update_check parameter is set to be true. 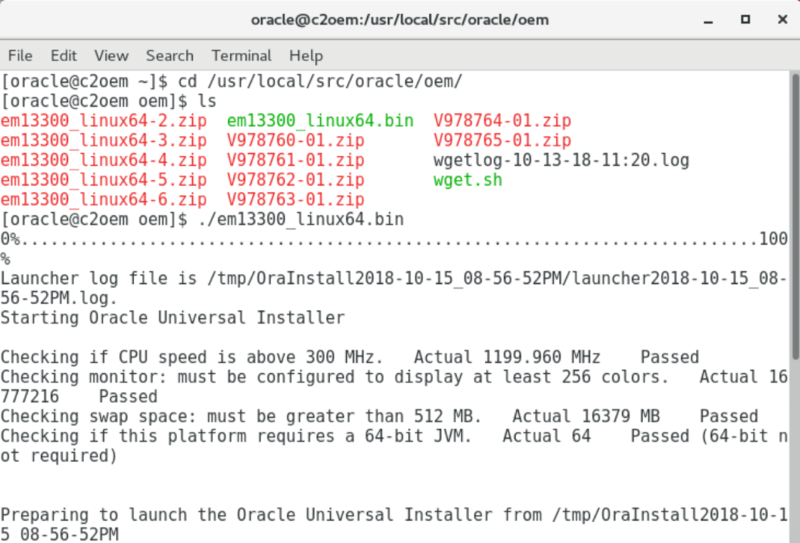 You now kick off the installation by running the em13300_linux64.bin in the path '/usr/local/src/oracle/oem/'. I'm skipping over steps 1-4 in the Installer because I just accepted the defaults. 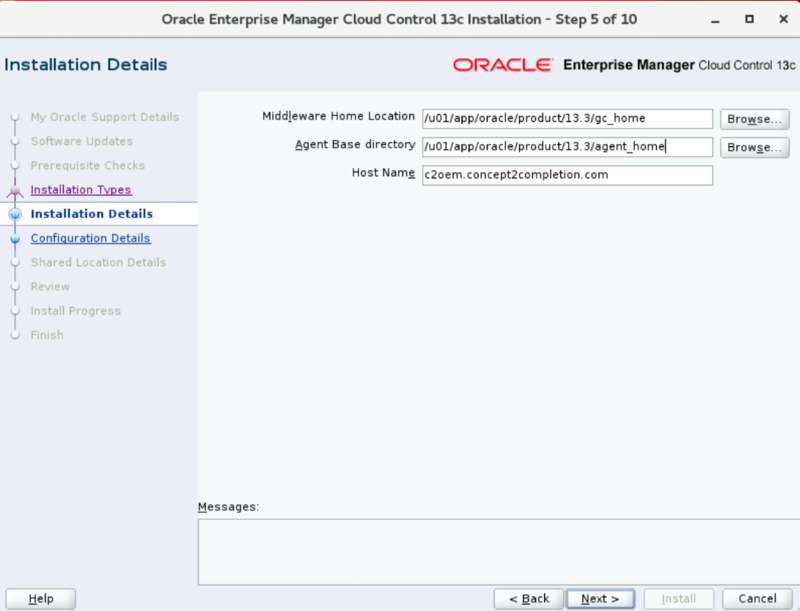 For step 5, you pick the directories where you'd like the OEM middleware and agent software to be installed. I picked '/u01/app/oracle/product/13.3/gc_home' and '/u01/app/oracle/product/13.3/agent_home', respectively. After a 3-4 hour installation period, a pop-up warns you that you'll need to run an additional script upon completion of this Oracle Installer. This is what a success confirmation screen looks like. 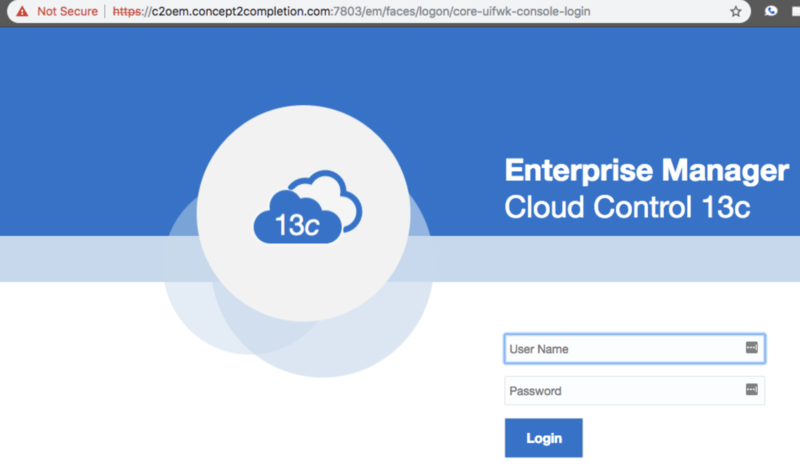 It confirms that I should access my new admin console at the URL https://c2oem.concept2completion.com:7803/em. You'll be invited to configure your home screen. I picked the 'summary' option. By way of example, I set up a 'global_sys' user to log in as sys across all my servers. 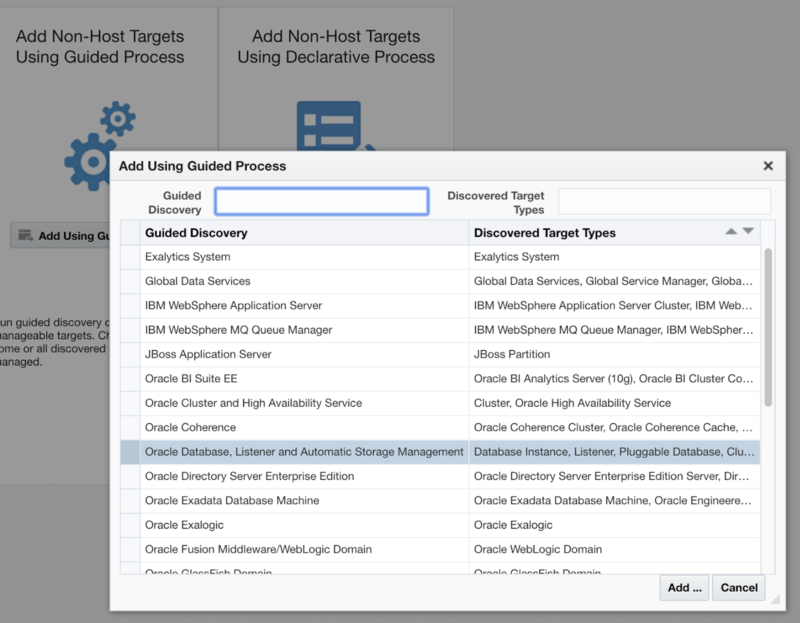 You have several options for how to add the servers you seek to manage using OEM. 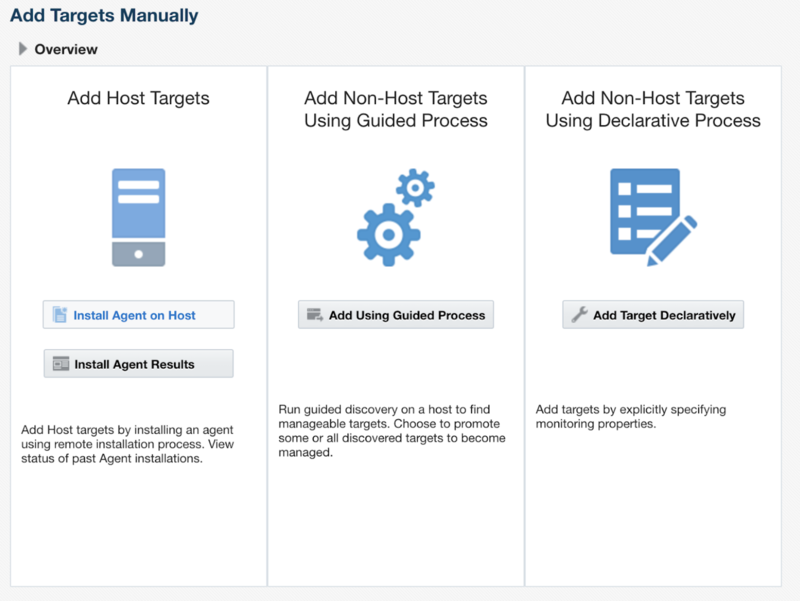 I picked the 'Install Agent on Host' option, in the path 'Security > Add Target > Add Targets Manually'. 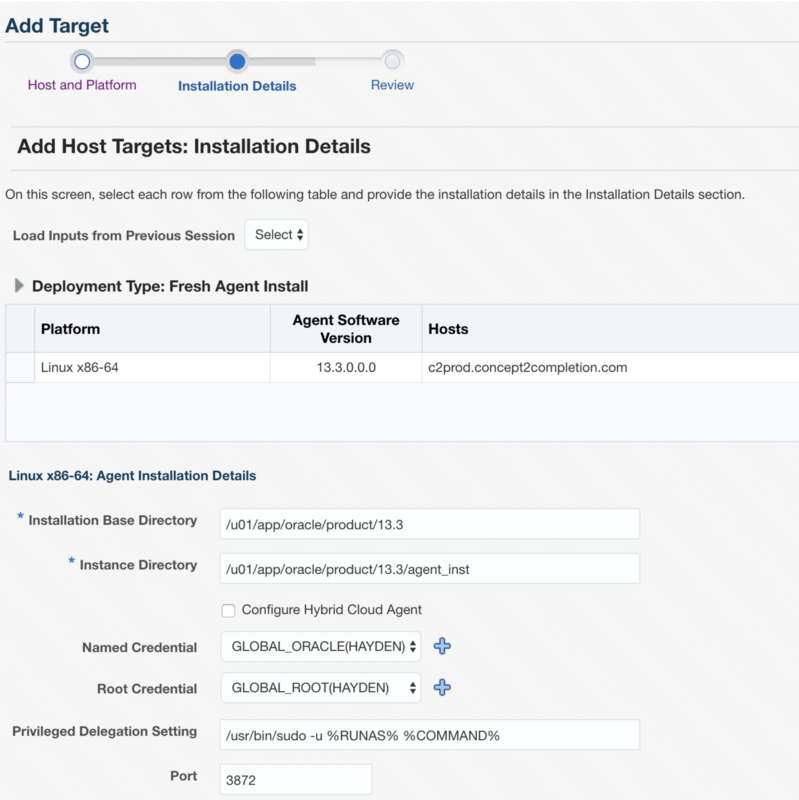 Install agent on host : Step 2. 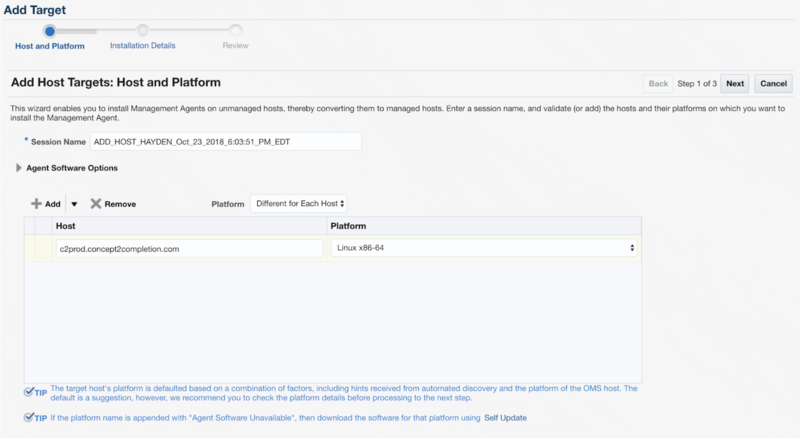 Here you'll need to identify some directories on the destination server where the agent and base software should be installed. The credentials you designate below will need to have the requisite permissions to create these directories. Made with by Hayden Hudson.